A research intensive department, Materials Science and Engineering students are encouraged to participate in funded research projects alongside faculty members. State-of-the-art equipment exposes students to the preparation and evaluation of newer types of ceramics, metals, polymers, and composites required in aerospace advanced engine, biotechnology, photosics, and electromagnetic applications. Research in the Department of Materials Science and Engineering is funded by numerous federal and state agencies and a diversity of regional and national industry. At the federal and state level, our faculty compete successfully for funding from the National Science Foundation (NSF), Office of Naval Research (ONR), Defense Advanced Research Projects Agency (DARPA), Defense Production Administration (DPA), Department of Energy (DOE), United States Environmental Protection Agency (EPA), New Jersey Department of Environmental Protection (NJDEP), State of New Jersey Commission on Science and Technology (NJCST), and New Jersey Council for History Education (NJCHE), among others. A traditional strength of the Department, numerous faculty conduct research in diverse areas of structure, processing, and properties of glass, optical materials, ceramics, and ceramic composites. 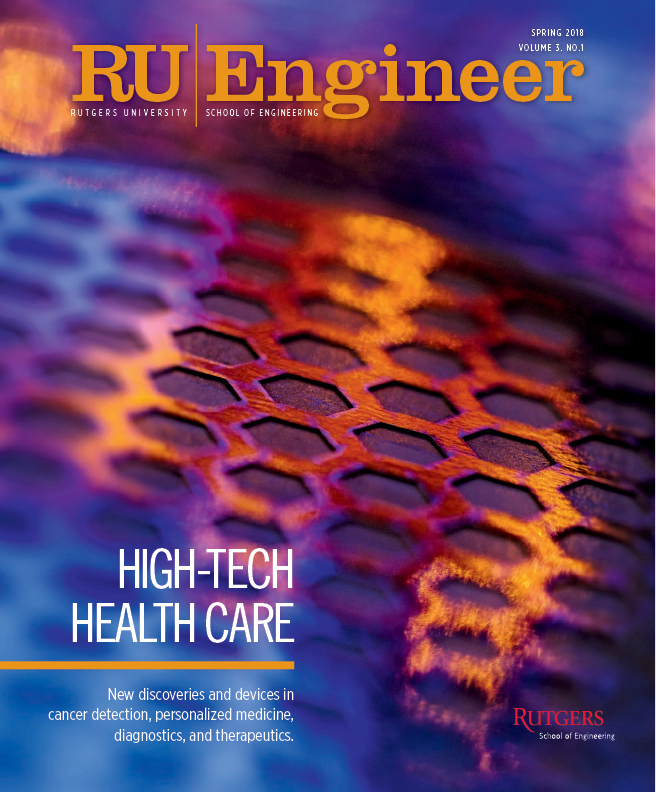 Polymer research at Rutgers ranges from flexible electronics and OLEDs to graphene polymer composites and structural materials used to rebuild infrastructures. Sustainable materials are of particular interest in high volume industries such as consumer products and packaging. Energy is a critical area of research given the ever growing energy needs of society, Battery science and technology for applications ranging from cell phones to the Boeing 787. Photovoltaics and other energy conversion are topics of research in the Department. The study of materials at ever smaller dimensions is a prime focus of Rutgers MSE research. Areas of study include quantum dots and extend into a range of nanoparticulate materials, as well as several programs in 2D materials focused on graphene and oxide structures. The study of materials compatible with living tissue, either from a functional, structural, or passive perspective. An exciting area of growth in materials research. ​An expansive category of research that includes hollow optical waveguides and fluorescent material, ferroelectric and piezoelectric sensors and actuators, and plasmonic behaviors in nanostructured assemblies. Modeling at a variety of scales, MSE faculty study the behavior of glass and crystalline materials using molecular dynamics as well as a variety of mathematical techniques to assess the performance of surfaces, transitions, and molecular configurations.